The Food and Drug Administration, or FDA, is responsible for testing and guaranteeing the safety and purity of prescription and over-the-counter medications sold in the United States. Part of that responsibility is the identification and removal of adulterated drugs in the market. As consumers, people rely on what they see and what they experience when they take their medication. If a medicated skin patch falls off too quickly, an injector pen breaks in the skin, packaging is compromised, or some other defect is present, then this is a blatant fault that a patient can and should report. Once a complaint is filed with the manufacturer, it falls to the company to identify the fault and correct it. Not all quality defects are as obvious as the examples given above. If you are a patient taking any medication, you have only the enclosed information and your own personal assessment of the drug’s effects upon which to base a judgment. The speed at which a drug is absorbed into your bloodstream affects your concentration and therefore how much it affects your body. If this is not correct according to the published data, the consequences can be severe. Further, if you experience side effects that are profoundly different from what is shown in the literature, the quality of the medication can be called into question. The FDA monitors reported effects of pharmaceutical drugs and a compilation builds over time. Adverse effects hitherto unknown can indicate that the medication could be adulterated. If you took a medication that did not do what it was supposed to do or triggered an untoward reaction, you should see that as a danger signal and report it. You should immediately report the medication to the FDA, as well as file a complaint with the manufacturer so that the appropriate actions can be taken. Before the FDA can remove a drug from the market, they must establish that the components in the drug are directly linked to the effects reported. Until such a relationship is confirmed, the FDA has no grounds for recommending that the drug be stopped or recalled. 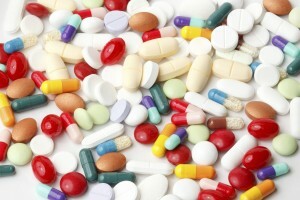 Generic drugs present a unique challenge, as data concerning negative reactions or other faults is lacking. The tendency over time has been to report faults in brand name drugs far more often than defects in the generic formulas, generating a deficiency in the data available for evaluation. While generics are supposed to be identical in effectiveness to the corresponding brand name medication, without solid information it is difficult to be certain that this is so. By reporting unusual responses or lack of effectiveness to the FDA, consumers can help to build a reliable database that can aid in ensuring quality and safety. Adulterated drugs present a danger to public health. If you feel you have reason to suspect such activity, contact Mahany & Ertl by calling 414-223-0464 today.